Liam: You ripped my t-shirt. Theo: And you broke my nose, twice. I healed, you broke it again. Two times! Liam: [punches Theo] Three times! 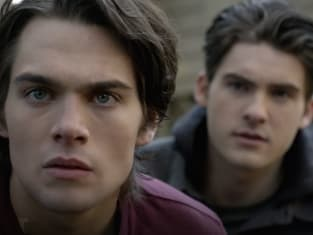 Teen Wolf Season 6 Episode 16: "Triggers"
Mason: Yeah, Nolan is right behind me, like literally right behind me. He's driving a bright red car. He's actually terrible at this.